Home / Blog / What is an APR? How do APRs work? But do you know how APR is calculated for credit cards? And that it impacts the true cost of the things you pay for on a card? Here’s a short primer on everything you need to know about credit card APRs. APR or Annual Percentage Rate is the interest charged yearly on the money you borrow from the credit card company. 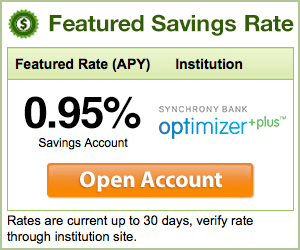 Credit card companies like to offer low introductory or promotional APRs to get you to open an account—sometimes 0%. You could be paying no extra interest on purchases for the first year, for example, but after the promotional period ends, a new, higher APR will kick in. And that’s where the credit card company earns its money. In spite of the name, APR is calculated daily, not annually. That means that you will actually end up paying a little more than what the stated APR is. Companies calculate the interest on your account by using your daily periodic rate (DPR) and your average daily balance. Your card’s DPR is generally calculated by dividing the APR by the number of days in the year, 365 (although some companies divide by 360). Your balance can change during the month as you make purchases or payments on the account, so the credit card company calculates your average daily balance during the month instead. Even if you have a higher interest rate on a credit card, you can (generally) avoid paying interest by paying off your balance in full every month, because most credit card companies give you a 30-day grace period to pay what you owe. A fixed APR means that the APR will stay relatively constant, but it doesn’t mean that it will not change at all. Credit card companies can’t change the fixed APR on your credit account simply during the first 12 months the account is open, unless there is a promotional APR or if you violate the terms of the credit card. After the first 12 months, they can usually change the APR simply by giving you 45 days notice. Fixed-rate credit cards have become increasingly rare since Congress passed new regulations in 2010. Variable APR cards are much more common. Variable APRs are based on an index rate, usually the prime rate. The prime rate is a rate published by the Wall Street Journal based on what 70% of the 10 largest banks offer as a base rate on corporate loans. This rate could remain unchanged for years, or could change more than once in a year, like it did this year. The current prime rate is 4.25%. If you have a card with a variable APR, it is likely prime rate plus a few more percentage points, like prime + 3% or prime + 4%. My promotional rate expired—how do I find out how much I’m paying in interest? If you want to check how much your APR is, there are a couple of ways to find it. First and best, check your latest account statement. If you are not receiving paper statements, you can log in to your account online and access your statement there. Your latest account statement can tell you what your APR is and what amount you are paying interest on. Second, call your credit card company and ask. They will also be able to tell you what your current APR is, and what balance it applies to. You can also dig out your card’s terms and conditions paperwork and check what the APR is. This may not be as helpful if there was a promotional APR that may have expired, or if you have both a balance transfer and purchases on your account (which could have two different APRs).